Leave it to a bunch of poets to have their spring in the fall. After a short period of dormancy, buds will flower all weekend long as the International Fellowship of Poets and Spoken Word Artists PA Local 1136 kicks off their 5th season at 8 p.m. tonight with "100 Thousand Poets for Change," at Poets' Hall featuring a reading by Pittsburgh native, Allegheny College alum, and former Mercyhurst University professor Beth Gylys. Gylys – who is married to former Erie County Poet Laureate Thomas Forsthoefel – has circulated her award-winning work in such notable publications as The Antioch Review, The Columbia Review, The Kenyon Review, The New Republic, The Paris Review, and The Southern Review. She was also featured on Garrison Keillor's "A Prairie Home Companion" radio show in 1999. On Saturday, a host of local poets will take the mic beginning at 5:30 p.m. to usher in day two of "100 Thousand Poets for Change." Scheduled to appear are Kurt Sahlmann, Ron Androla, Megan Collins, Kim Noyes, current Erie County Poet Laureate Cee Williams, Luchetta Manus, Marissa Moks Unger, Shawn King, Veronica Hopkins, Chuck Joy, Peaches, and Drave Dayey. Super-chill jazz guitarist Frank Singer will also perform. Then on Sunday at 2 p.m., well-known local poet Chuck Joy will host a small "contract signing party" to commemorate his upcoming association with India-based Nirala Publications. Nirala is known for being the world's largest publisher of books on Nepalese and Himalayan culture but also endeavors to expose their primarily south-Asian audience to poetry; accordingly, Nirala is home to authors David Austell, Diana Hamilton, David Ray, and frequent Erie visitor Yuyutsu Sharma. 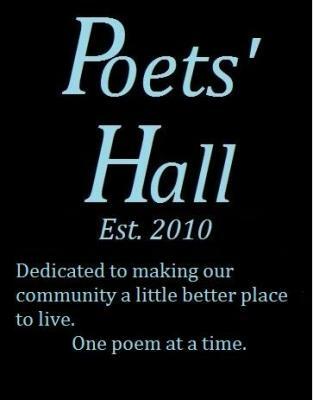 Poets' Hall is located at 1136 East Lake Road in Erie. No alcohol is served, however, you may bring your own if you're a member; membership is $5 a month, or $25 a year. For more information on Poets' Hall, check out their Facebook page. To support this important cultural resource, visit www.gofundme.com/keepthehallalive.